UC News about Entomology and Nematology. 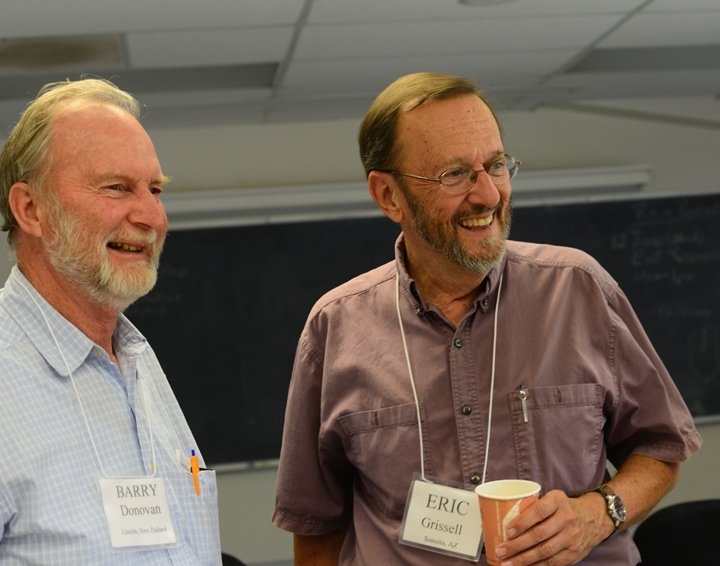 The UC Davis Entomology Alumni Reunion will take place Sunday, March 31 through Tuesday, April 2. Most events will take place in the Walter A. Buehler Alumni Center. Co-chairing the event are Will Crites (bugkiller@aol.com) and Arnold Menke (waspman@cableone.net). Forensic entomologist Robert Kimsey of the UC Davis Department of Entomology and Nematology will keynote the banquet on Tuesday, April 2 in the Walter A. Buehler Alumni Center. 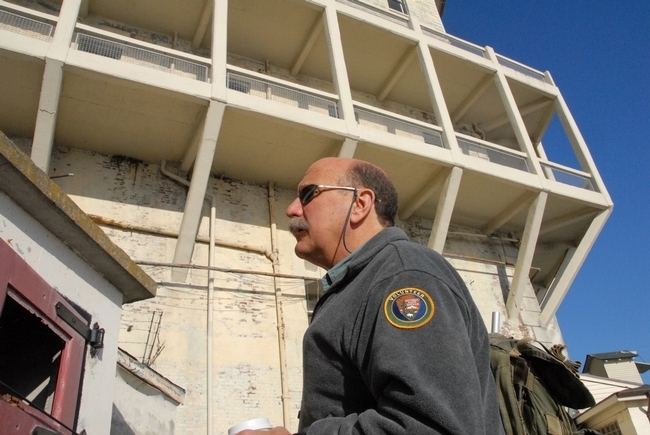 He is known as "The Fly Man of Alcatraz" for his entomological research on the island. (See news story.) Tours of several campus facilities are planned. Arachnophobia, the fear of spiders, is a common phobia, but there are five good reasons to like spiders, according to Jason Bond of the UC Davis Department of Entomology and Nematology. 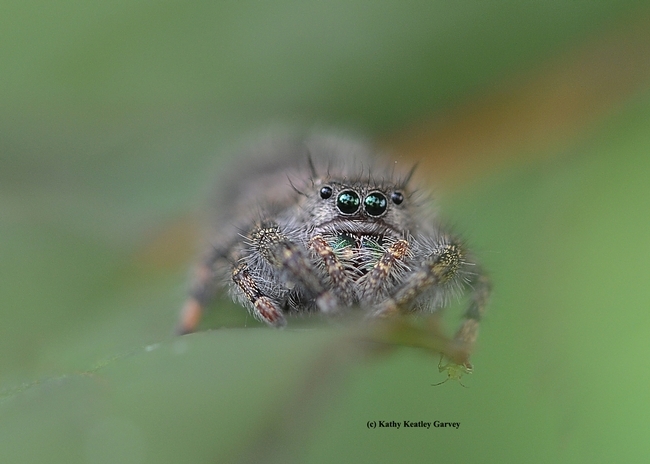 The five good reasons to like spiders? “ Spiders consume 400-800 million tons of prey, mostly insects, each year. Humans consume somewhere around 400 million tons of meat and fish each year. Spider silk is one of the strongest naturally occurring materials. Spider silk is stronger than steel, stronger and more stretchy than Kevlar; a pencil thick strand of spider silk could be used to stop a Boeing 747 in flight. Some spiders are incredibly fast – able to run up to 70 body lengths per second (10X faster than Usain Bolt). Athough nearly all 47,000-plus spider species have venom used to kill their insect prey, very few actually have venom that is harmful to humans. Some spiders are really good parents –wolf spider moms carry their young on their backs until they are ready to strike out on their own; female trapdoor spiders keep their broods safe inside their burrows often longer than one year, and some female jumping spiders even nurse their spiderlings with a protein rich substance comparable to milk. Bond, who is the Evert and Marion Schlinger Endowed Chair in Insect Systematics in the UC Davis Department of Entomology and Nematology, will present a 10-minute slide show at 1 p.m. in the Museum of Wildlife and Fish Biology classroom, located on the first floor of the Academic Surge Building, next to the Bohart Museum. Visitors will see live specimens and specimens in alcohol. They'll learn the differences between woolly silk and sticky silk. They'll see the Bohart arachnids--tarantulas--and hold some of the non-arachnids, including walking sticks and Madagascar hissing cockroaches. Bond joined the UC Davis faculty after a seven-year academic career at Auburn University, Ala. 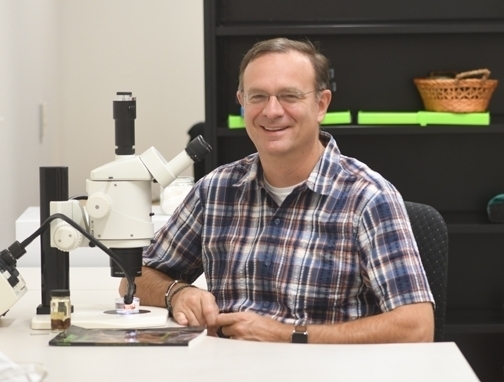 He served as professor of biology and chair of the Department of Biological Sciences from January 2016 to July 2018, and as curator of arachnids and myriapods (centipedes, millipedes, and related animals) at the Auburn University Museum of Natural History, from August 2011 to July 2018. 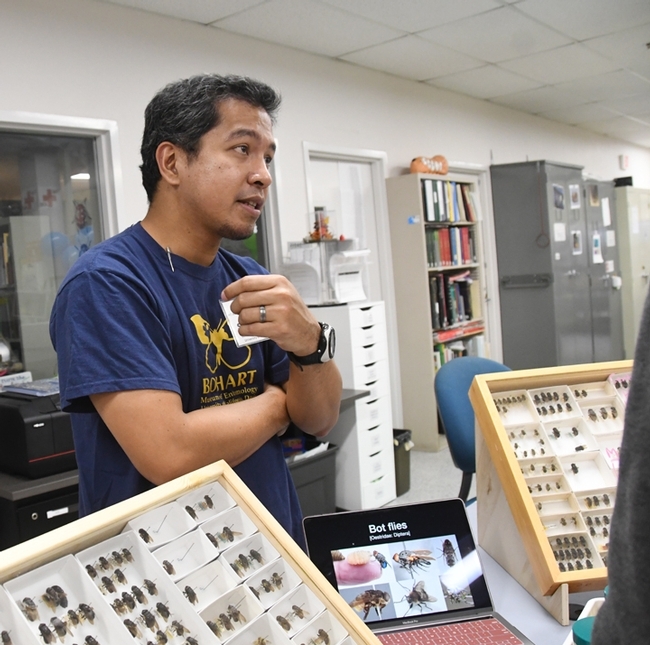 The Bohart Museum of Entomology, directed by Lynn Kimsey, professor of entomology at UC Davis, houses nearly eight million insect specimens collected from all over the world. It also includes a gift shop and a live “petting zoo,” comprised of Madagascar hissing cockroaches, stick insects and tarantulas. 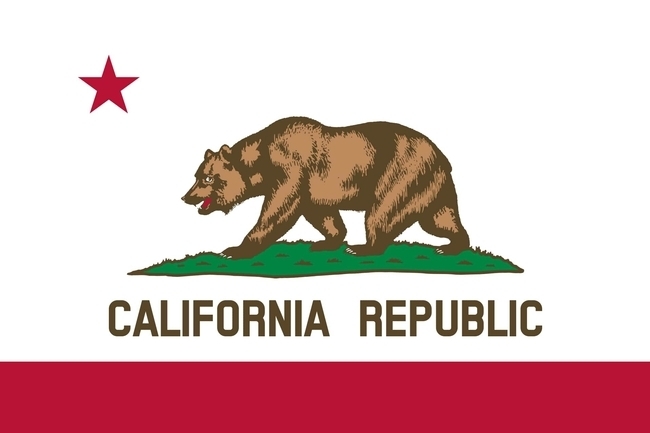 The California State Bear Flag has nothing on the Bohart Museum of Entomology's Bear Flag. A newly crafted hooded sweatshirt, the work of artist Charlotte Herbert Alberts and designer Fran Keller, features tardigrades, also known as the water bears. Available in red, gray and black, from sizes extra small to extra extra large, they'll be offered in the Bohart Museum gift shop during the UC Davis Biodiversity Museum Day on Saturday, Feb. 16. 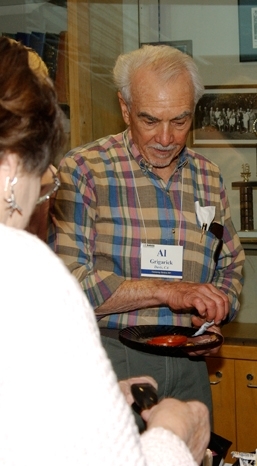 Proceeds from the sales benefit the insect museum's educational activities. Alberts is an entomology doctoral candidate who studies Asilidae (Assassin flies) with her major professor, Lynn Kimsey, director of the Bohart and UC Davis professor of entomology. Alberts' work is a take-off of the California Bear Flag, except hers features an entomologist, insect net in hand, riding a huge tardigrade. 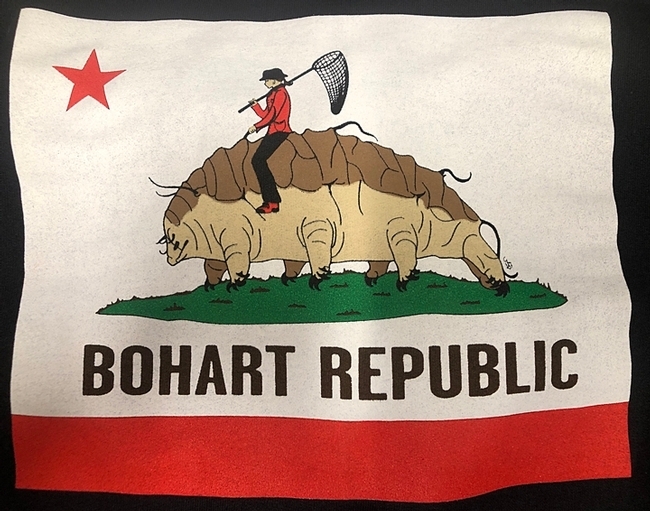 The front features a tardigrade face inside a Bohart logo, a design by Fran Keller, an assistant professor at Folsom Lake College. 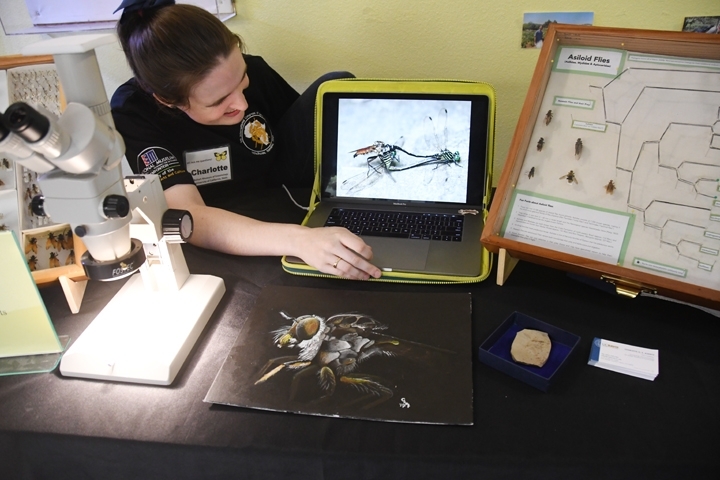 She received her doctorate in entomology from UC Davis, studying with Kimsey and designed many of the shirts, sweatshirts and posters in the Bohart Museum's gift shop. The Bohart Museum, founded in 1946 by UC Davis entomologist Richard “Doc” Bohart (1913-2007), is the home of nearly eight million insect specimens, plus a year-around gift shop and a live "petting zoo" that includes Madagascar hissing cockroaches, stick insects, tarantulas and praying mantids. The gift shop is stocked with newly published calendars, books, jewlery, t-shirts, insect-collecting equipment, insect-themed candy, and stuffed animals. The Bohart Museum is open to the general public Mondays through Thursdays, from 9 a.m. to noon and from 1 to 5 p.m., plus occasional, weekend open houses​. Admission is free. Further information is available on the Bohart Museum website at http://bohart.ucdavis.edu/ or contact (530) 753-0493 or bmuseum@ucdavis.edu. Time's fun when you're studying flies! Student fly researchers greeted guests and explained their work at the Bohart Museum of Entomology open house held last Saturday, Jan. 12. 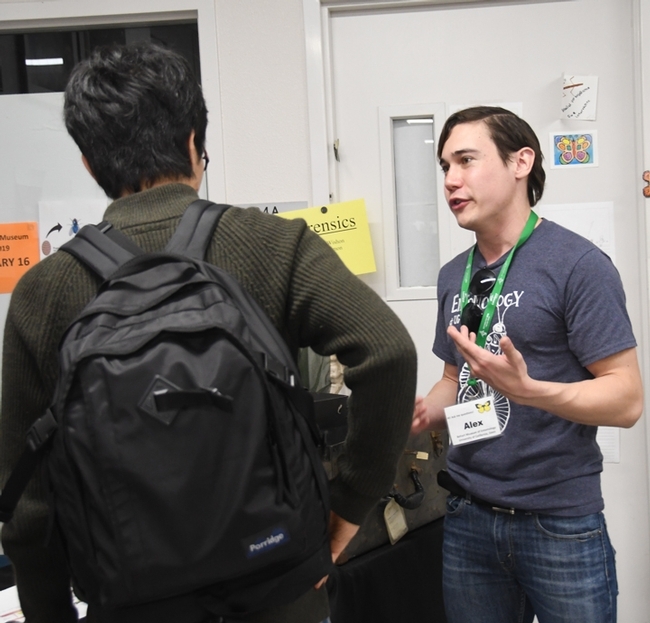 The event, which took place from 1 to 4 p.m. in Room 1124 of the Academic Surge Building on Crocker Lane, drew more than 150 visitors, despite competition with the televised National Football League playoffs and other activities. The theme, "Time's Fun When You're Studying Flies," was a take-off of "Time flies when you're having fun." 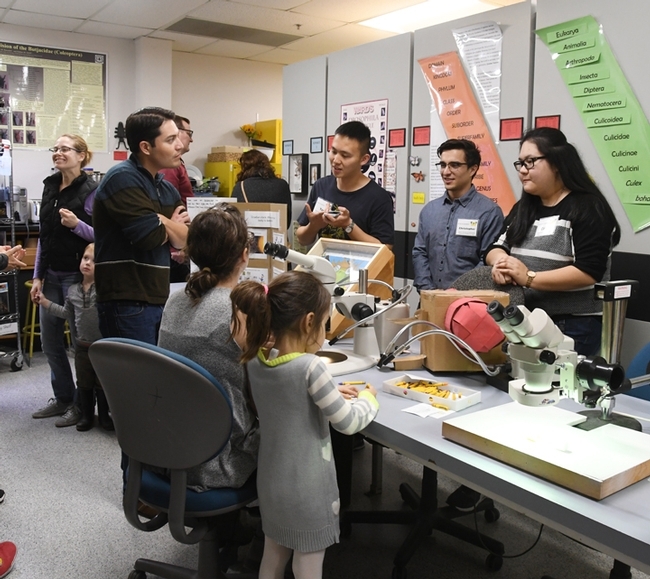 "Despite the lovely weather, visitors spent a long time at the museum talking with our department's up and coming researchers," said Tabatha Yang, the Bohart Museum education and outreach coordinator. 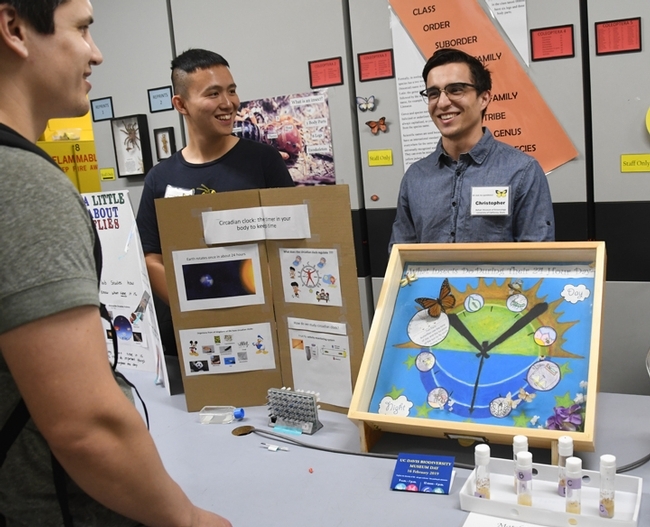 "Visitors learned about various research on flies that occurs in our department from evolution to geography to circadian rhythms." 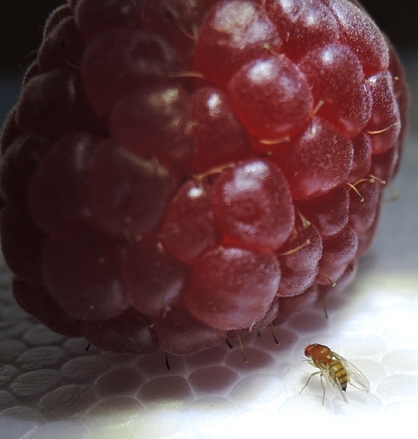 Five scientists from the Joanna Chiu lab discussed their fruit fly research. They were graduate students Christine Tabuloc, Yao Cai and Xianhui "Nitrol" Liu, and undergraduate students Cindy Truong and Christopher Ochoa. The Joanna Chiu lab currently has 4 PhD students (3 from Entomology and 1 from Genomics and Genetics), 6 undergraduate students (3 from Underrepresented Minorities or URM) undergraduate research programs), 1 postdoc, and 1 visiting graduate student from China. "They all did an excellent job engaging the public with thoughtful slide shows, images, and specimens," Yang said. 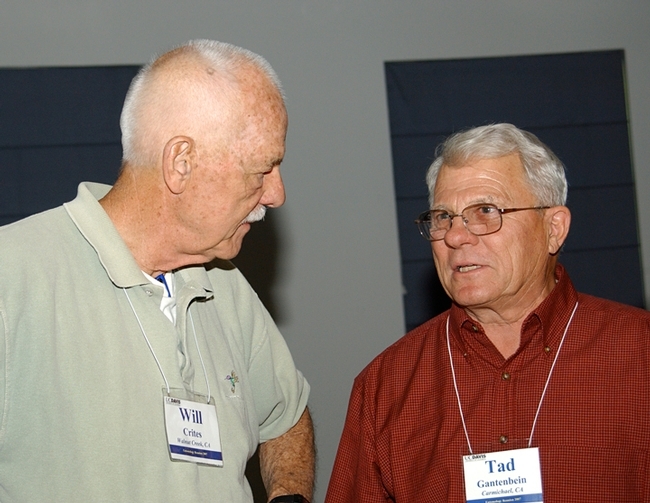 "They truly communicated their enthusiasm for science." 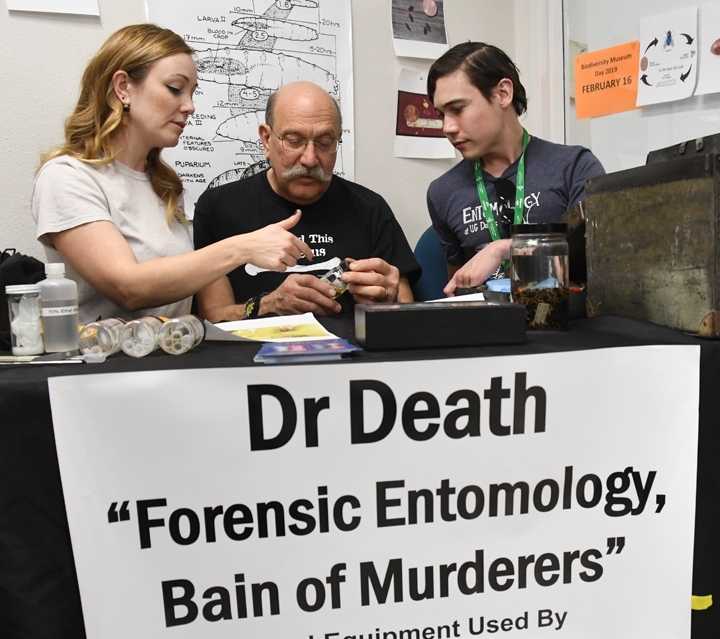 The Bohart team included Lynn Kimsey, director of the Bohart and professor of entomology; senior museum scientist Steve Heydon; Yang; and Bohart associates Jeff Smith, Greg Kareofelas, Gwen Erdosh, Lohit Garikipati, Abram Estrada and Wade Spencer. 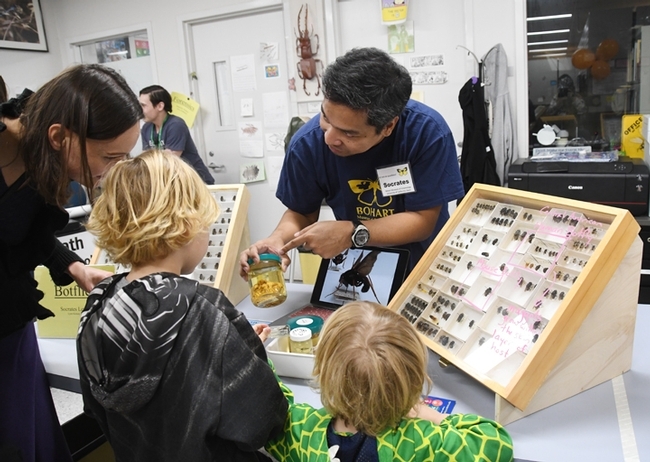 The next open house will be Saturday, Feb. 16, when the Bohart Museum will be open as part of campuswide Biodiversity Museum Day. 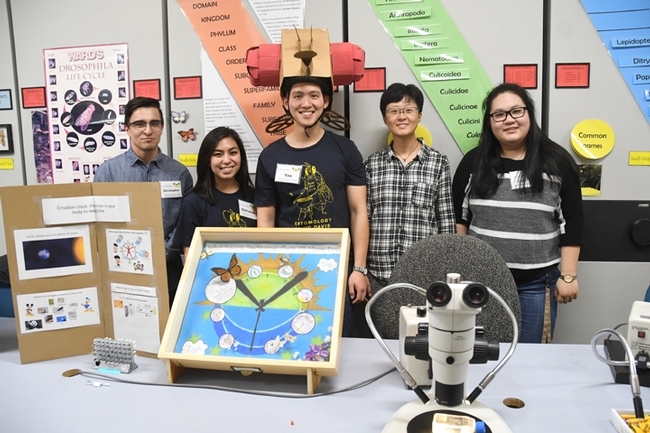 "Eight-Legged Wonders" (spider theme, featuring the work of the Jason Bond lab) on Saturday, March 9 from 1 to 4 p.m.
UC Davis Picnic Day on Saturday, April 13 from 10 to 3 p.m. The Bohart Museum, directed by Lynn Kimsey, professor of entomology, houses nearly eight million insect specimens, plus a year-around gift shop and a live "petting zoo" that includes Madagascar hissing cockroaches, stick insects, tarantulas and praying mantids. The gift shop is stocked with newly published calendars, books, jewlery, t-shirts, insect-collecting equipment, insect-themed candy, and stuffed animals. UC Davis entomologist Richard “Doc” Bohart (1913-2007) founded the museum in 1946. The Bohart is open to the general public Mondays through Thursdays, from 9 a.m. to noon and from 1 to 5 p.m., plus occasional, weekend open houses​. Admission is free. Further information is available on the Bohart Museum website at http://bohart.ucdavis.edu/ or contact (530) 753-0493 or bmuseum@ucdavis.edu. Time flies when you're having fun? No, time's fun when you're studying flies! Nearly a dozen fly researchers from throughout the UC Davis campus will greet the public and explain their research at the Bohart Museum of Entomology open house from 1 to 4 p.m., Saturday, Jan. 12 in Room 1124 of the Academic Surge Building, Crocker Lane. The event, themed “Time's Fun When Studying Flies," is free, open to the public, and family friendly. The open house will showcase botflies, fruit flies, assassin flies, mosquitoes and other members of the Diptera order. Ten scientists, including undergraduate students, graduate students and a visiting scholar, are scheduled to participate. They will display specimens, photos and field equipment and chat with the public. "Besides checking out the flies, this is also a good time for visitors to inquire about graduate school, ask about starting research projects, and to meet people working in forensics, evolution, agriculture, animal behavior, genetics, geography, and home pests, among other topics," said Tabatha Yang, education and outreach coordinator. Entomologist Jeff Smith, who curates the Bohart's butterfly and moth section, will be on hand to open the Diptera section. "He will dust off and put on his pest industry hat to talk about those relevant flies," Yang said. A family craft activity is also planned. 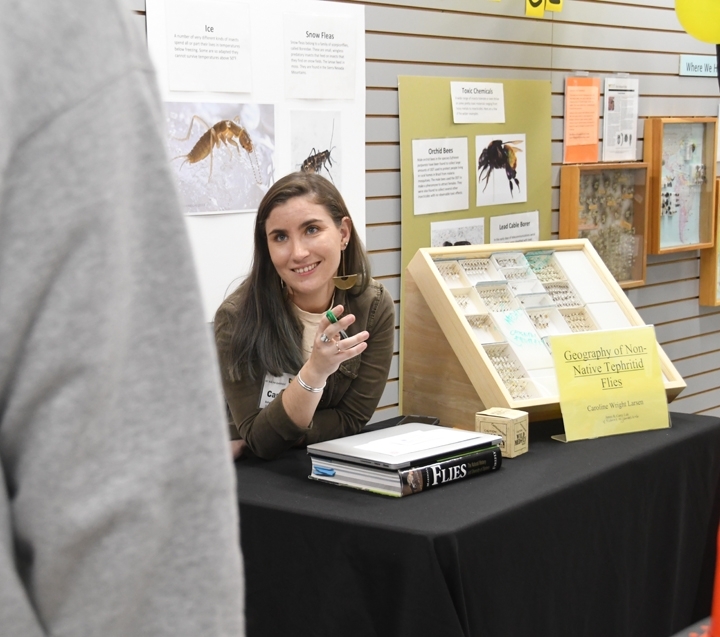 Among the fly researchers participating will be fourth-year doctoral candidate Charlotte Herbert Alberts, who studies assassin fly (Asilidae) systematics with major professor Lynn Kimsey, director of the Bohart Museum of Entomology and UC Davis professor of entomology. “Assassin flies are one of the only families of flies that are predatory (on other insects) both in their larval and adult stages,” Alberts says. They are venomous! Their venom both immobilizes their prey and starts extra-oral digestion. They have very fancy facial hair (beards and mustaches) called a mystax, thought to protect their face while they catch and eat their prey. Some assassin flies are very selective in their prey choice and may have specialized venom to help them overcome their prey. There are more than 7,500 species found all over the world! “I am currently working on a few projects: An Asiloidea Phylogeny, Predator-Prey Dynamics of Asilidae and their kin, and a few side projects including the revision of Ablautus, and Nearctic Saropogon,” Alberts says. She is also interested in assassin fly venom and how it may have evolved to target certain prey taxa. In addition, she teaches basic entomology and art in a UC Davis Art/Science Fusion Program course. Graduate student Socrates Letana, who also studies with major professor Lynn Kimsey. researches the evolution and diversification of botflies (Oestridae) "in the global mammal host-space with special emphasis on the New World." Part of his research interests include Diptera systematics, biogeography and Southeast Asian biodiversity. He is a research associate with the California State Collection of Arthropods, California Department of Food and Agriculture. The larvae of botflies are internal parasites of mammals; some species grow in the host's flesh and others within the gut. Dermatobia hominis is known as the only species of botfly known to parasitize humans routinely. Said Letana: "I will be using the pinned and alcohol-preserved materials from the Bohart collection. Also, I am thinking of using my laptop just to show some photos from other museum collections. Some people might be a little squeamish about this group of flies and I will try my best not to scare them away." UC Davis doctoral student Caroline Wright Larsen of the Graduate Group in Ecology, will discuss her research on non-native tephritid flies, including the Mediterranean fruit fly. 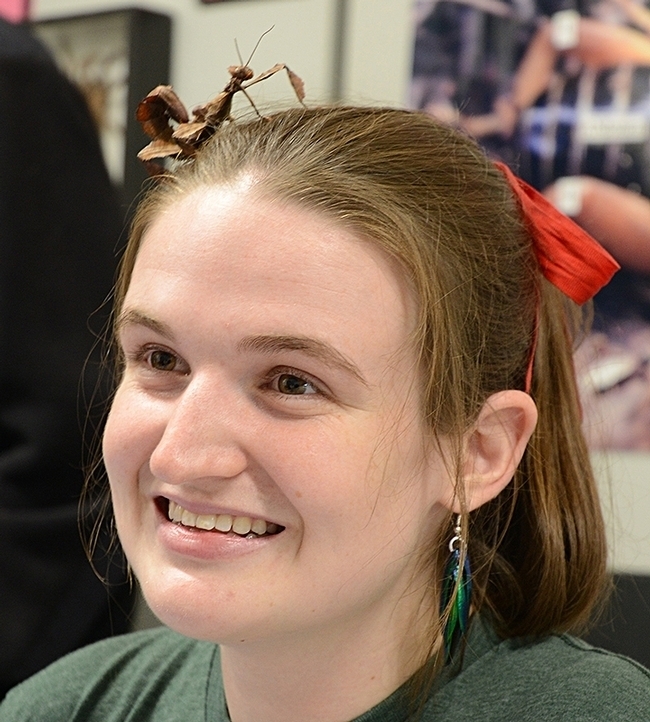 She studies with major professor James R. Carey, distinguished professor of entomology. She attended Bryn Mawr College outside of Philadelphia for her undergraduate degree, "during which I spent six months living in Kruger National Park, South Africa doing insect biodiversity research." 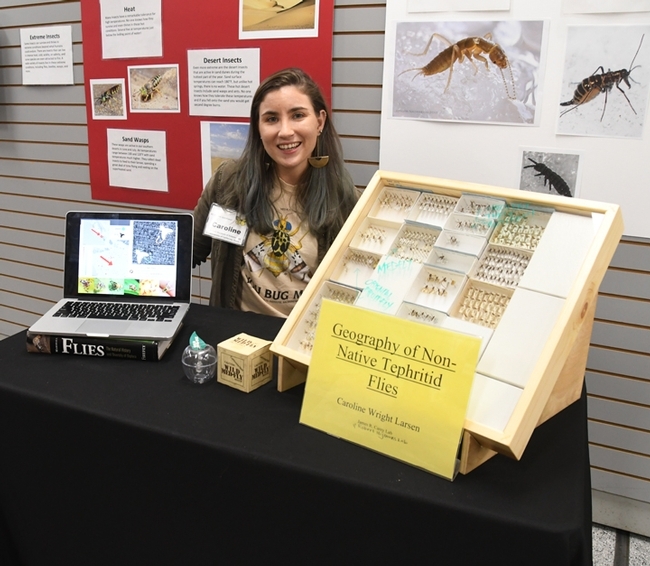 She began her graduate studies in 2011 at UC Davis "where I explore the ways in which difficult-to-detect populations of non-native tephritid flies move over space and time in California." Christine Tabuloc, graduate student researcher in the Chiu lab, will discuss her work on fruit flies. "My current focus is to investigate the effects of climatic change on gene expression of an invasive pest and determine whether there is a correlation to resistance and survival," she said. "In addition to pest management research, I am also studying a kinase of a core clock protein in Drosophila melanogaster and hoping to dissect its functional contribution to the molecular oscillator." Others from the Chiu lab participating will be Yao Cai, a doctoral graduate student who studies genetic mechanisms underlying the regulation of organismal behavior, and undergraduate researcher Christopher Ochoa. 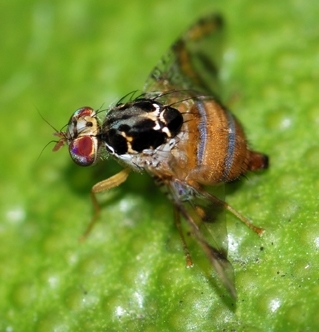 Kathlyne-Inez Soukhaseum of the Frank Zalom lab will talk about her research on the spotted-wing drosophila, Drosophila suzukii, a major agricultural pest that invaded California in 2008. 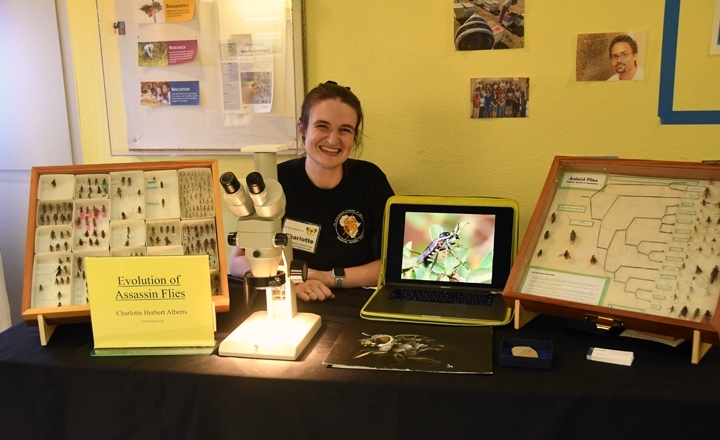 Danielle Wishon, a forensic entomologist who holds a bachelor's degree in entomology from UC Davis, will discuss how flies are used in forensics. She hopes to enroll in graduate school at Purdue University. Nermeen Raffat, visiting scholar in the Sharon Lawler lab, will focus on mosquito larvae. He is working on "the effect of copper sulphate and other toxicants on the development and anti-predatory behavior of the mosquitoes larvae." 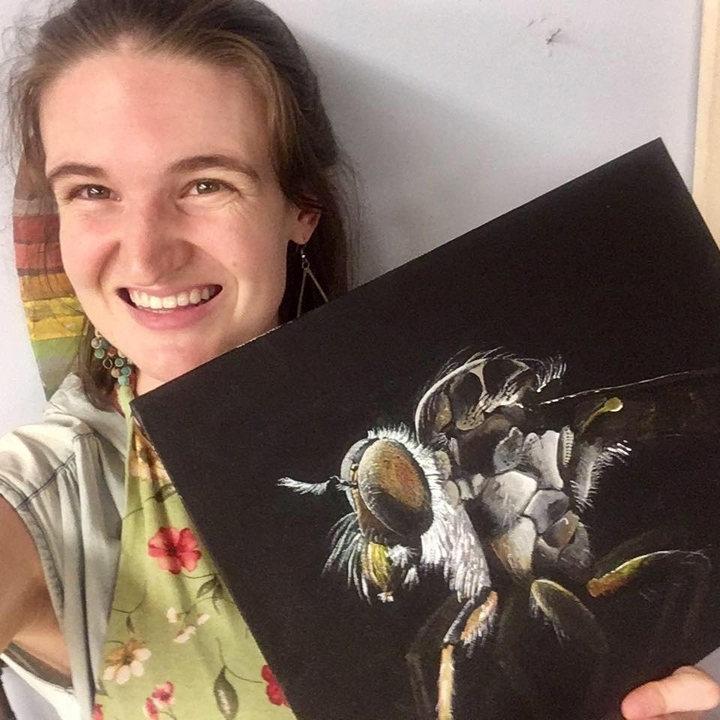 UC Davis fourth-year doctoral student Charlotte Herbert Alberts holds her acrylic painting of an Assassin fly (Ommatius sp.) that she painted to celebrate World Robber Fly Day, April 30. 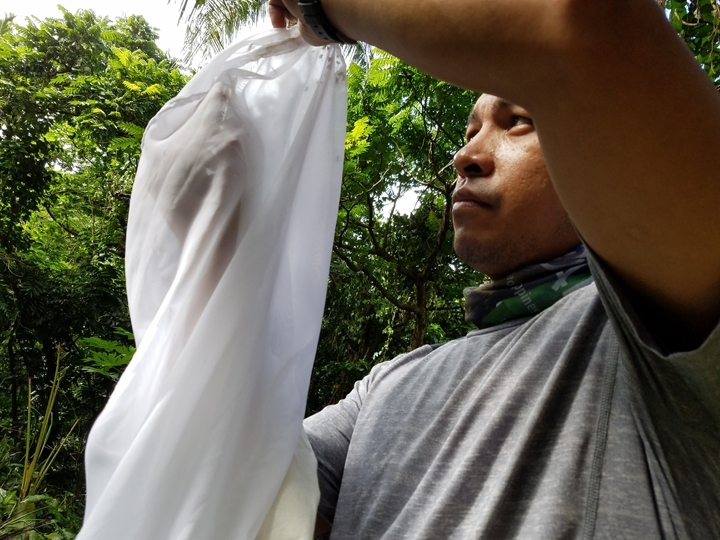 UC Davis graduate student Socrates Letana collecting files in February 2018 on Batan Island, Philippines.